A man wanted by police for burglary and knife charges has avoided appearing at court. Joseph Guy Shaw has been arrested and charged with two burglaries in Littlehampton in October but after attending court has failed to comply with his bail conditions. 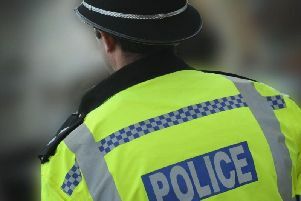 He also failed to attend Worthing Magistrates’ Court on January 18 having been charged with possession of a knife in West Grinstead, police said. Joseph, 44, of formerly of Lingfield Common Road, Lingfield, near East Grinstead is wanted on two counts of failing to appear and for failing to comply with bail conditions imposed on him at Worthing Magistrates’ Court on January 23 and February 19 at Portsmouth Crown Court. He is described as white, 5ft 8in, of medium build with short brown hair and brown eyes. Anyone who may know where he is is asked to contact police online quoting serial 465 of 07/10.